A new startup in Pakistan is promising car-owners up to 20,000 rupees per month for driving their cars. Here is the catch, the owners are expected to paste advertisements on their cars. Ticket Kataao, a new entrant in the Pakistani startup field, is a crowd-sourced advertising platform that redistributes advertising revenues amongst individual drivers by letting them brand their cars with advertising. They basically act as the middle-man, pulling in the advertiser and the car-owner together through a dead-simple process. Sporting a tagline of “Thrive While You Drive”, there idea is pretty simply; an average Pakistani spends nearly 550 hours per year, driving his or her car. So why not earn some extra cash while doing that? That’s where Ticket Kataao comes in! How can I earn with my car? Head over to TicketKataao’s sign-up page. Enter the relevant data and then download the app. Fill out the profile and your brand preferences. Turn on the app, drive and complete the minimum number of kilometers to become eligible for campaigns in your vicinity. Once you select a campaign, your car will be wrapped and you begin to make extra cash for keeping up with your daily routine. Note: You need to have the car registration/proof of ownership, a valid driving license and be a frequent driver with high mileage in preferred zones to earn from Ticket Kataao. The amount which you earn will depend on a number of different factors, including mileage, location, speed and time of day. There are also options for full/partial wrap coverage and the pay will vary according to what you choose. Typically, a small car owner with full wrap coverage can earn as much as Rs. 15,000, while a sedan owner can pull in Rs. 20,000 per month. The money will be deposited directly into the bank accounts of the car owner at the end of the month. For those of you worried about branding your car with something you don’t like, they will also let you choose the advert. The advertisements themselves are vinyl stickers, specifically designed for use on cars and will be applied by the people at Ticket Kataao themselves (2 hours for partial wrap and 6 hours for a full wrap). 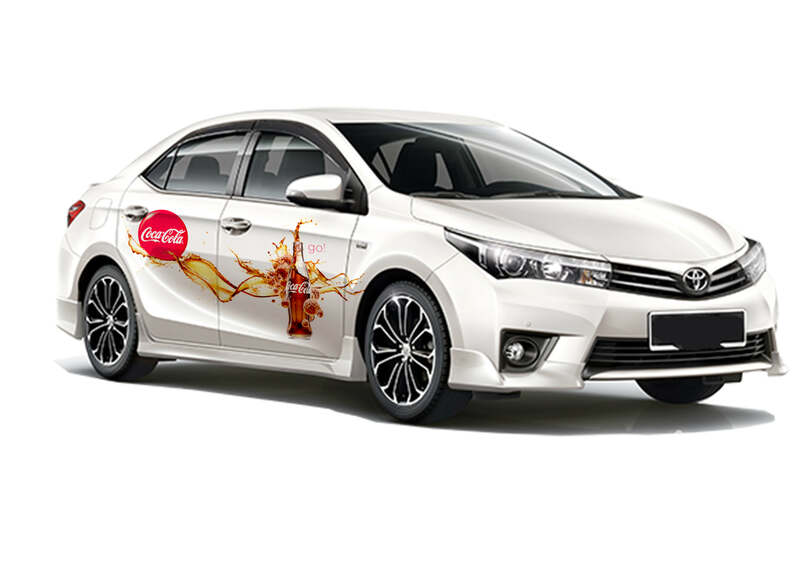 During the pasting of advertisements, you will be provided a free car replacement to continue with your daily routine. The post This startup Ticket Kataao lets you earn up to 20,000 per month by advertising with your car appeared first on TechJuice.